Only Margaret Atwood could get away with writing a book like this. While I found the book hard to put down, I have to say on an action level, not much happens. The story starts in an apocalyptic future before jumping back to Jimmy’s childhood and showing the unfolding of events that led to his present day situation. This will be a short review to avoid spoilers. The future Atwood imagines that lead a to population-decimating plague are imaginative and well constructed. 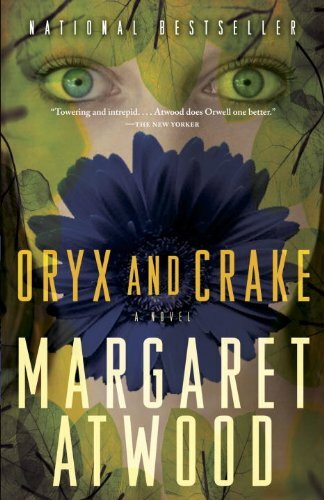 I know Oryx and Crake was published well before all of these, but if you liked Station Eleven, Matched, Annihilation, and The Passage, you will enjoy this one. Atwood’s future is far from rosy, unflinchingly honest in its perversions, and terrifyingly within reach. Jimmy is (amazingly) an ordinary narrator. He is not special in any way, but survives based on being in the right place, at the right time, in the right circumstances. His own survival is as baffling to him as it is to us and we acutely feel his confusion and pain at being handed a future he probably would have wanted to opt out of. I am looking forward to starting the second book in the trilogy, The Year of the Flood, after the holidays.